Opening Ceremony and Warm Welcome for CO2balance! 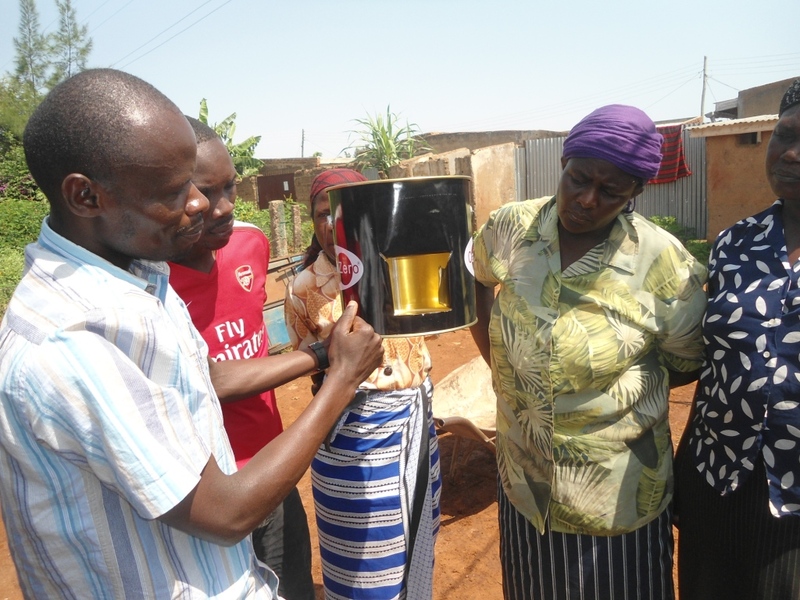 The 20th May marked the start of our second Micro-Scale Improved Cook Stove project in the Bugesera District, Rwanda. As the factory loaded up the truck in Kigali, I travelled to the Sector of Mareba, where both the local administration and the communities were ready to receive the first stoves. When we arrived, the Executive Secretary welcomed us to his Sector, and we were then invited to join the Ceremony to mark the beginning of the project in this area. 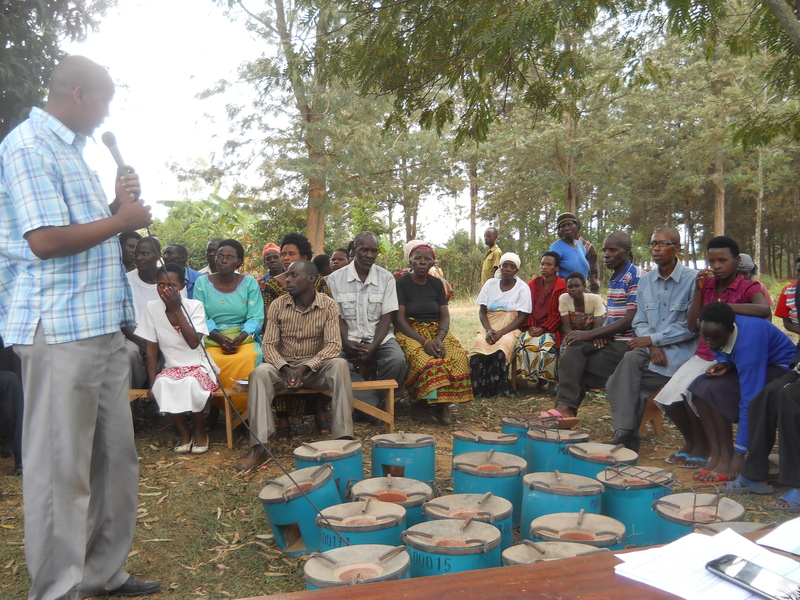 Behind the Sector Office, a group of local people had gathered, ready to receive their new stoves. The Ceremony began with traditional singing and dancing to welcome us, and the Project was then officially opened by the Executive Secretary. 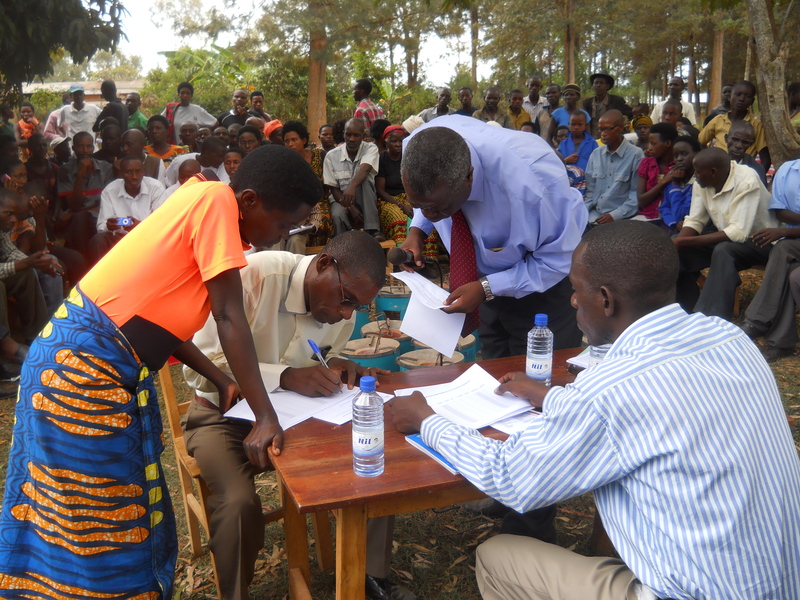 After the introductions and explanations about the project and its benefits, the first stoves arrived from Kigali, and the local Community Project Officers began to fill out the beneficiaries details and give them their stoves. 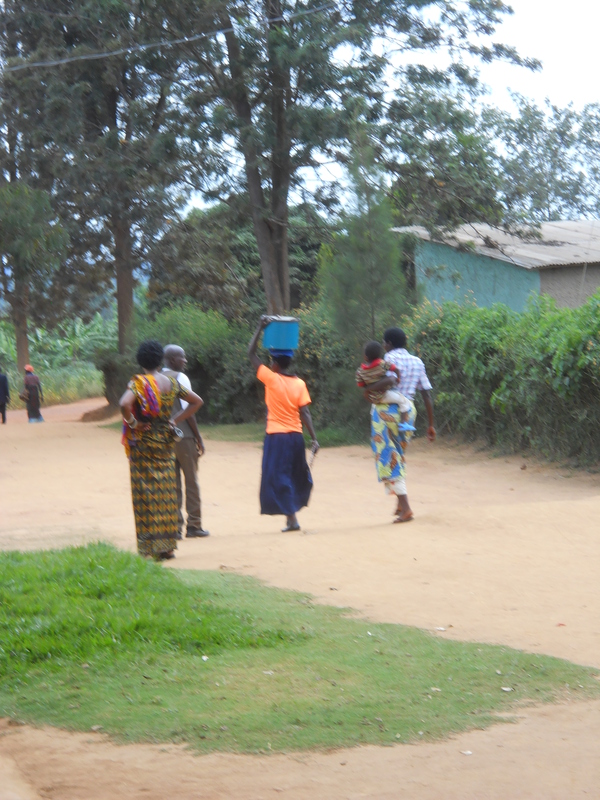 The stoves are very heavy to transport, weighing approximately 23Kg each, and we saw some very interesting means of transportation by those taking their new stove home. . . 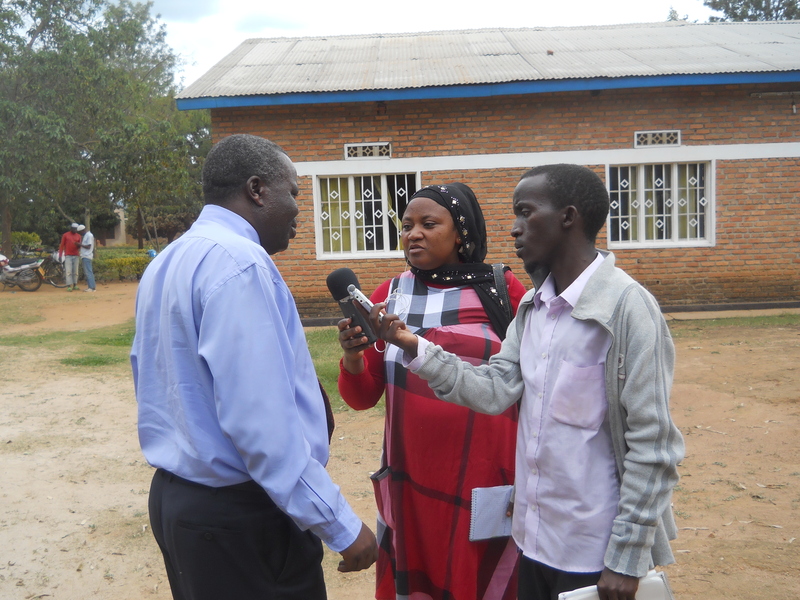 In addition to the Sector representatives, journalists from National and Local Rwandan radio arrived, to carry out interviews and report on the project. 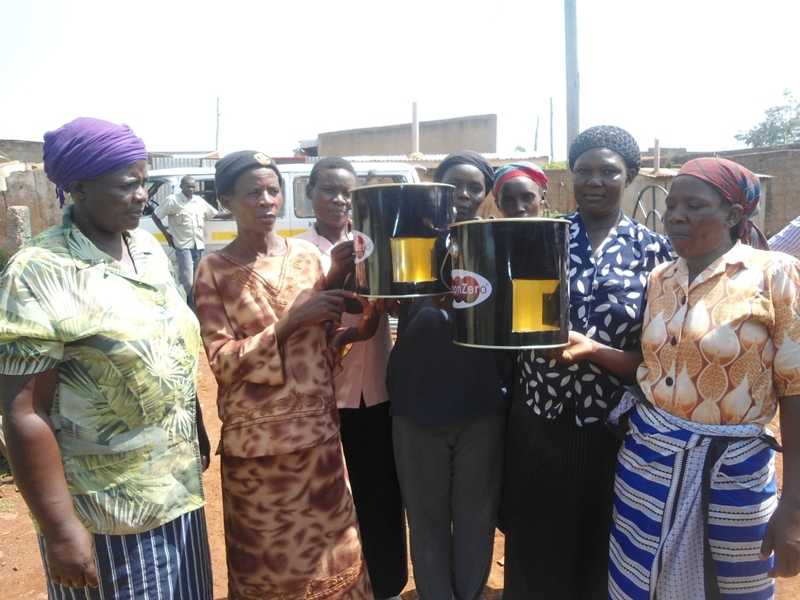 It was great to have such a warm welcome and to see how happy the communities are to be receiving the stoves! 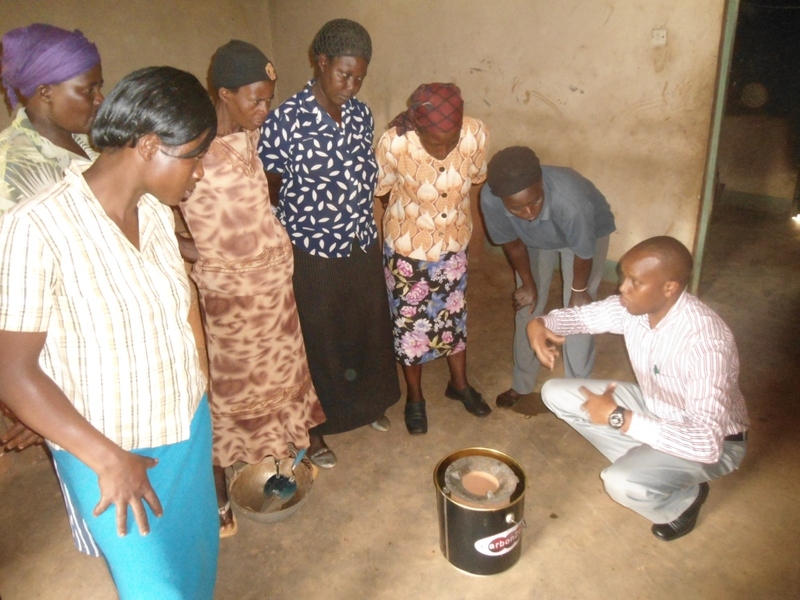 We’re looking forward to continuing our stove distribution in many more Sectors in the coming months. . .
I’ve been at CO2balance for two years and am now moving on. Despite computers notorious (and frustrating) ability to cease functioning for no clear reason I’ve thoroughly enjoyed my time and would like to thank everyone I’ve worked with over the two years. Despite the fact I was initially employed as IT support it didn’t take long for us to realise it’d take more than a few computer issues to keep me busy and as a result I quickly started working on web development projects to occupy my time. One of the projects I was able to work on was the Challenge Africa project sponsoredby SCC. 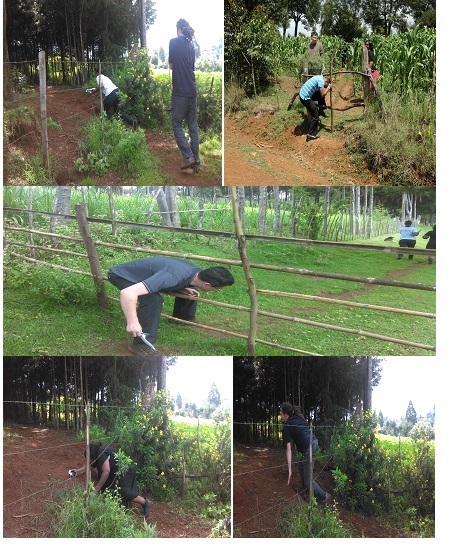 The project allowed 5 employees from SCC to travel to Kenya to build a fence around a school to help benefit the local community. I built a website to allow the employees to raise money through events and publish them through an events feed. The trip was a great success with the participants raising £5,636 in just a few months. In addition to creating websites, some of my time at CO2balance was spent streamlining day to day tasks of others. One nifty system I created allows the projects team to tag photos from their trips to countries and events, then upload them to the server to be globally accessed throughout the office by simply searching for the tags, thus allowing us to vastly increase our image library for the future – keep an eye out for some new photos in the future! Listening to Richard’s music – from 15 meters away (despite his use of headphones). Matt and his need for help with the simplest of IT matters. The grubs up van and their fancy horn to reminding me it’s almost lunch time! Everyone in the offices ability to forget every password, no matter how simple. The projects teams stories of the outside world (I will continue to argue it’s overrated). Being with people who think I know what I’m doing (Although I think you’re all well aware by now that my standard procedure is click buttons for a minute or two then turn the computer off and on again). Pretending I understand what CO2balance does. I’d like to extend a big thank you to everyone at CO2balance. I’ve been given brilliant opportunities in my time here and the experience I’ve gained has been invaluable. I’d like to say an extra big thank you to Martin (if he reads this) for teaching me everything I know about programming, Dan for keeping me company for the last few months and Matt for frequently interrupting my workload and giving me a quick chuckle. It’s been a pleasure to work with all of you and wish you all the best of luck in your future endeavours. 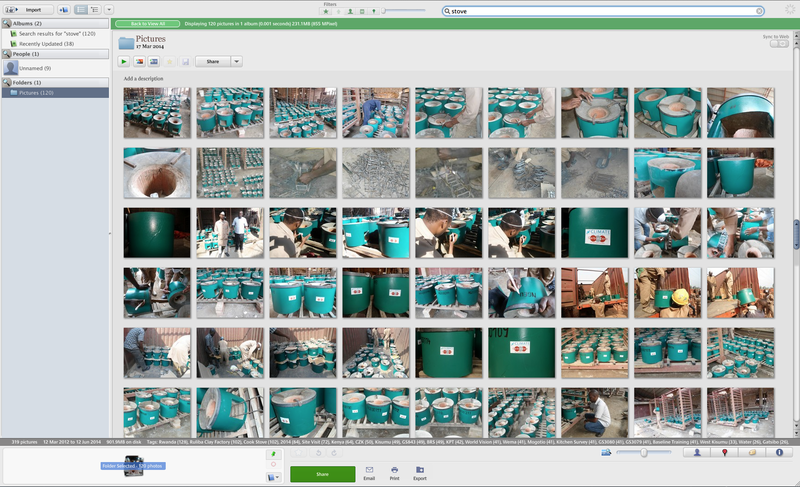 I hope CO2balance can continue its great work in Africa and the rest of the world. At short notice I flew out to Malawi last Tuesday and have spent the week here in Lilongwe with our partners Concern Universal. The objective was to identify how we can increase access to carbon finance for organisations in the country. We were kindly invited to a meeting with Irish Aid who are interested in the role carbon finance can play in development; especially if the revenues it generates are channelled back through the value chain. After a series of productive meetings we are closing in on an innovative model that incorporates the best of carbon finance and development. However it is time for me to return to the UK and say tsalani bwino to Malawi until the next time! The time has come to say good bye to CO2balance after 3 and a half years. Despite the frustrations inherent in the carbon finance sector I have to say I have thoroughly enjoyed my time here and I am grateful for all the opportunities that I have had and all the amazing people that I have met on this journey. 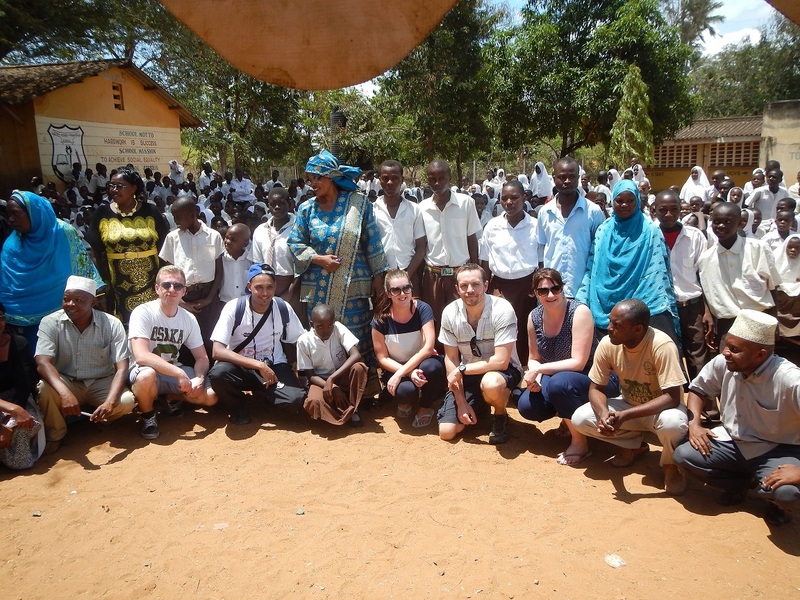 So thank you to everyone at CO2Balance UK & Uganda and Carbon Zero Kenya! Anyone who has met Suzanne will know that she doesn’t like to hang about and the start of my CO2balance tenure was no different! So after agreeing to marry my girlfriend if she would quit her good job and move with me to the South West, I packed my bags and moved into a house in Taunton at 2 weeks notice. This would have been great but I was missing a few key items to make my house comfortable – namely furniture! All was not lost however as I had my trusty tent and an old plastic chair set up in the bedroom – I even splashed out on some fairy lights as it was Christmas after all! Back then the projects team consisted of Owen, Mark, Liz, Richard and Myself. Within a few weeks both Mark Howard and Liz had moved on leaving Richard and I in a bewildering world of cook stoves and acronyms. I can’t say we missed Mark’s breakfast humus but Runako definitely missed Liz’s free lifts to work. Runako’s loss was A1 Taxi’s gain! Moving on a couple of months I will never forget my first trip to Africa with CO2balance. 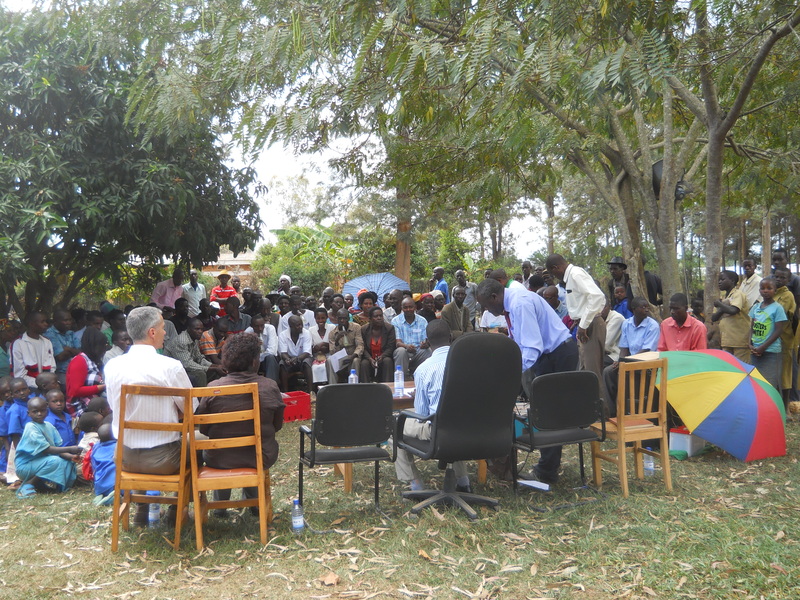 Having taken over the development of our Uganda CDM PoA (currently still pending registration!) I undertook a site visit to Kanungu. ‘Where’s Kanungu?’ my mother asked ‘Uganda’ I replied. What I should have said is, ‘as far away from Kampala as you can get.’ I will always remember the scene that greeted me as we flew into Entebbe over Lake Victoria at sunrise, it was truly stunning but that was only the start of the adventure. As I emerged from Entebbe airport bleary eyed and over tired I was greeted by Andrew Ocama (like Obama!) at least I think it was Andrew as I had never seen him before in my life it could have been anyone! In we jumped to a minivan with a ‘minor’ cooling problem to commence the ten hour drive to Kanungu. Although I was exhausted I felt alive at the sensory overload that I experienced on that journey… after 10hours of driving down ‘roads’ the alive feeling had left me but the memories never will. The ‘short’ route home via the Queen Elizabeth National Park was another stunning experience of total beauty interspersed with minivan cooling issues but we made it back to Kampala in one piece. 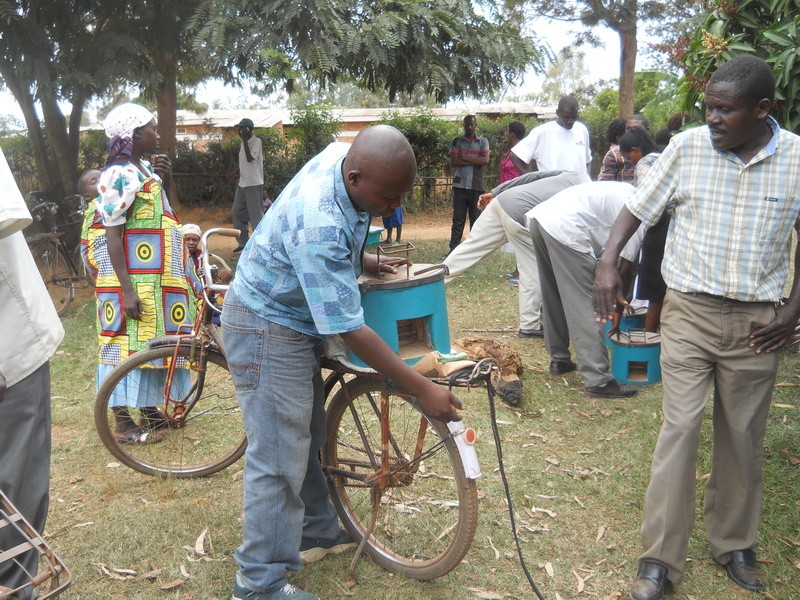 Back in Kampala I met up with our Stove Engineer Jonny who at the time had the best job going at CO2balance. 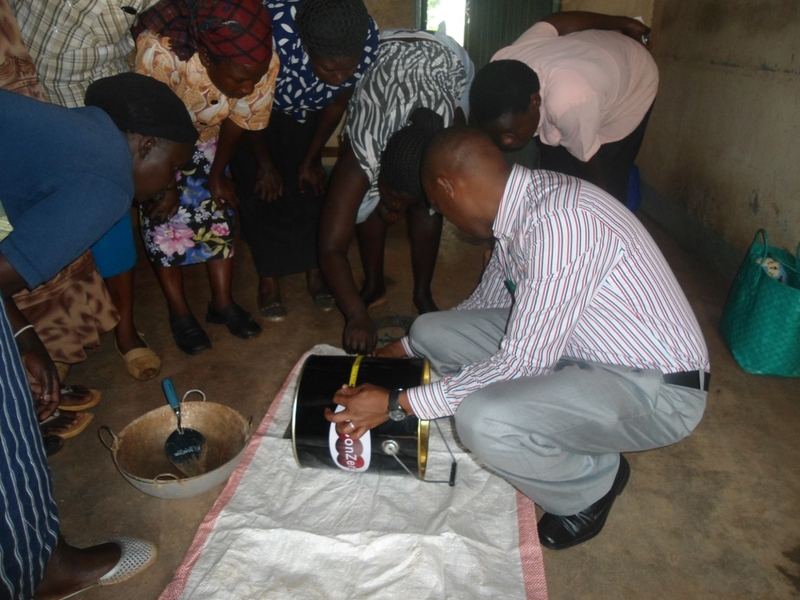 He was based in Diani Beach and travelled Africa building stoves at the company’s expense. We hit it off and decided to go out for a few drinks – following Jonny’s guidance the chosen venue was Kabalagala – lets just say it was an experience! As was every time we met where ever we were! Over the years I have been lucky to travel a lot and I have had several ‘I can’t believe I’m being paid to be here’ moments – The trip to the Parc des Volcans being another standout. Exciting as visiting Africa has been I have spent 90% of my time behind a desk in Taunton and I think I will miss this too – well maybe not all of it! My Ti Plant – please don’t kill it! I hope I am remembered as an enthusiastic, positive influence that made the occasional round of tea. I will never forget working with you all. A big thanks goes out to the team in Africa, Paul Kier, Moses, Charles & Catherine in Kenya and Andrew in Uganda. A huge thank you goes out to the UK Head Office staff of Richard, Lloyd, Ellie, Eszter, Lucas, Paul, Sue, Dan & Risi. So to wrap up this blog I extend my gratitude to Mark, Suzanne, Huw and Robin for giving me the opportunity to work at CO2balance and I am thankful for all the support I have received. I wish CO2balance every success in the future and I hope the ethos of being a friendly, approachable, transparent organisation remains.